Whenever I speak of choice and letting kids choose their own books, I am always met with skepticism from some. Surely you mean choice for those who know how to select a book? Or those who are at a certain reading level? Or those who I know are reading? I fear I disappoint people when I tell them no, when I say choice, I mean choice for all. For the kids who are in intervention. For the kids who may try to choose not to read. For the kids who seem to always choose wrong. If we constantly limit choice in reading because we need kids to always be reading a just right book as determined by us, how will kids ever learn to self-select a book? As Greg McKeown writes; When we remove choice, we learn to be helpless.” We are teaching our kids to be helpless and always search for the adult, the level, the lexile, the whatever artificial thing to help them choose a book when we need them to start to trust themselves. So I ask you this; when is it right for a child to choose their own book? Is it when they are just beginning and they are just discovering the magic of reading? Is it when they can actually decode and can, therefore, read words out loud? Is it when they finally read chapter books, even if it is slow-moving? Is it when they have finally reached their grade level as determined by a reading comprehension test? When do we offer them choice? 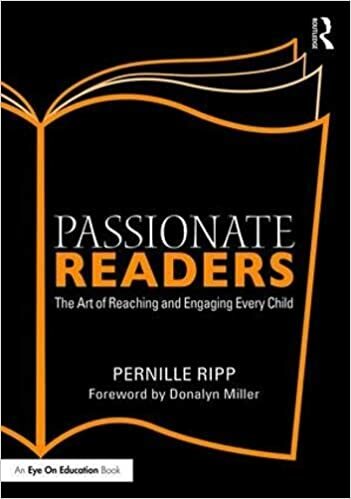 Because I will tell you, if we do not offer choice until they have reached their grade level reading level, then we will have lost so many readers before then. So we offer choice and we offer our support. We help them figure out how to book shop and we use tools, such as reading data as PART of the support. But we don’t tell them that they can only choose from a certain bin, or shelf, or letter level. We don’t tell them that this is the only section for them. Part of growing up is making mistakes. It’s fighting through something. It is figuring out what you need. It is using the tools and resources that surround us so we can make our own decisions. If we constantly limit choice because we believe we are doing kids a favor, we are limiting their chance to grow in the long-run. So when I say choice, yes, I mean, make no mistake about it. You are absolutely right about giving choice. It gives kids a sense of ownership. I teach 6th and 7th grade and give unlimited choice other than I ask parents to make decisions about young adult content and I don’t intervene. It is tough for me when I have kids who over and over make poor choices and then abandon bunches. Unfortunately… Very very unfortunately… We ability group. I have a class with 25 kids… 18 with IEP and others with 504s. Independent reading in this group is a particular challenge for many reasons and more than once at the beginning of the year I question my judgment. But with this group especially choice is of utmost importance. Already things are coming around for many of these kids. The best is when kids find a book they love. Makes my day every time! As we continue to work with our scholars on choosing “just right books,” here is another food for thought. 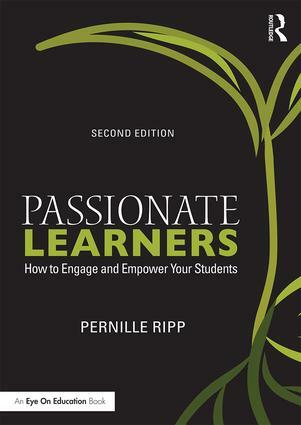 I also highly recommend following Pernille Ripp’s blog. As an educator, I appreciate her transparency on engaging and empower every child. Just had a conversation with my daughter’s school, which tells kids they should be reading “at their level” 80% of the time, and that other 20% should be aspirational, not “easy.” They say they get this from Teachers’ College of NY. My kid gets to read all over her range at home, but I really worry about kids who only read at school being limited like that. This will be the blog we read first before our teachers gather to discuss beliefs about reading. Great example of how beliefs about authentic readers lead to thoughtful classroom practices.